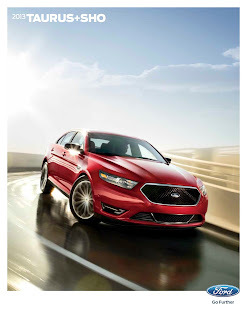 BRIGHTON, Mich. – The Ford Taurus is Ford's flagship that offers full-size car interior dimensions, luxury car interior quietness, a top safety rating as well as advanced technology, to give it's owners confidence on the road. For 2013, the Taurus gets a mid-life freshening, adding a 2.0-liter EcoBoost four-cylinder engine, as well as an updated and more powerful V6. On the outside, new front and rear fascias, headlights, LED taillights, exhaust and wheels give the Taurus an enhanced look. If you have any questions about the new 2013 Ford Taurus inventory, please contact us right away. We would be more than happy to assist you.